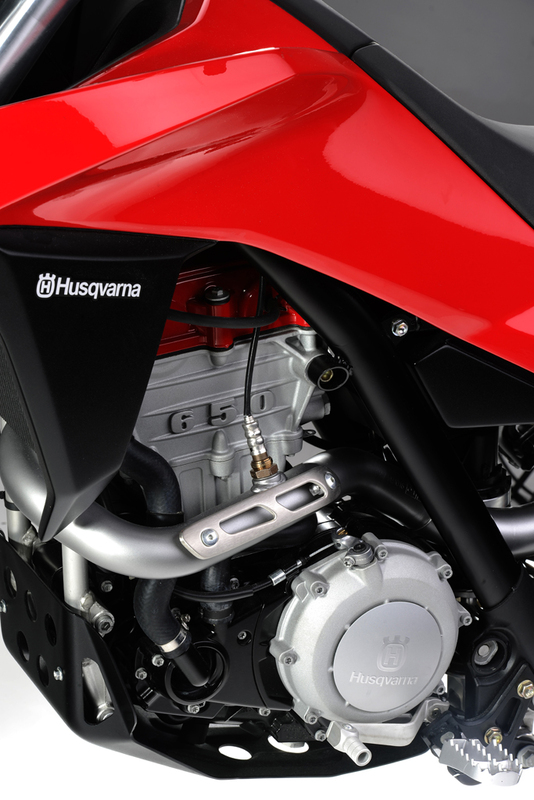 Husqvarna unveiled a new streetbike model powered by the engine from parent company BMW’s G650GS. 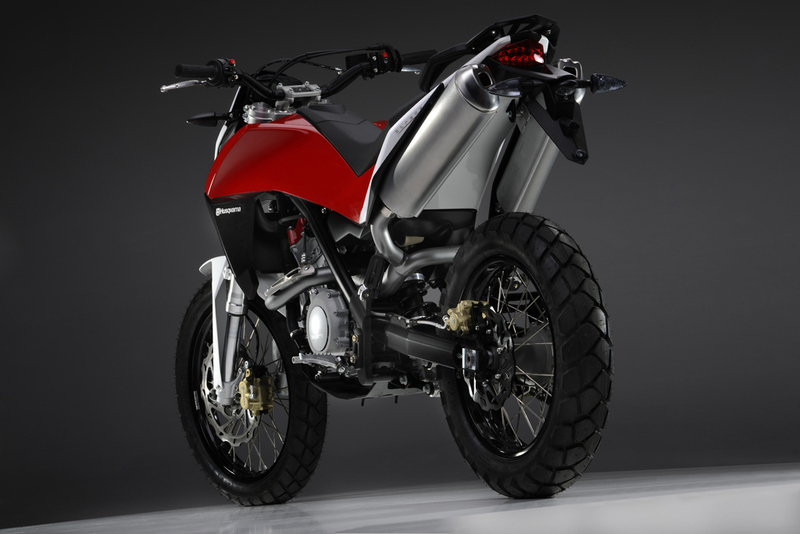 The Husqvarna Concept Strada was int4roduced in Paris at the Salon de la Moto show. 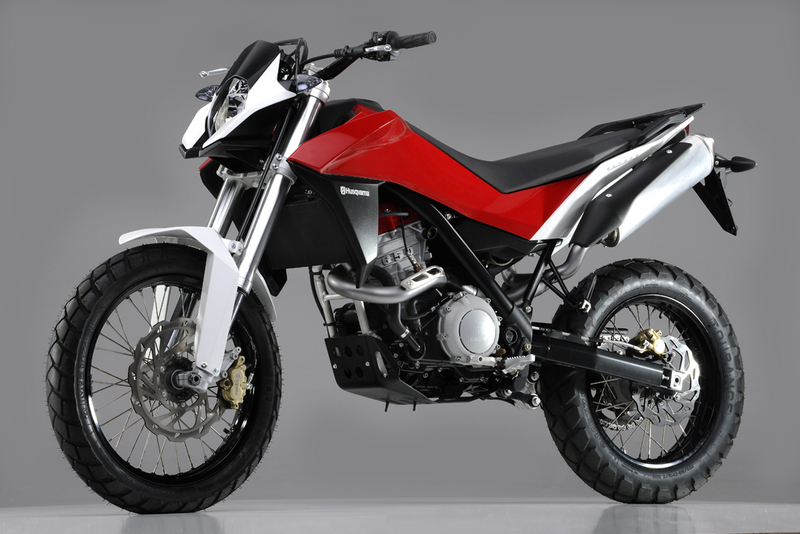 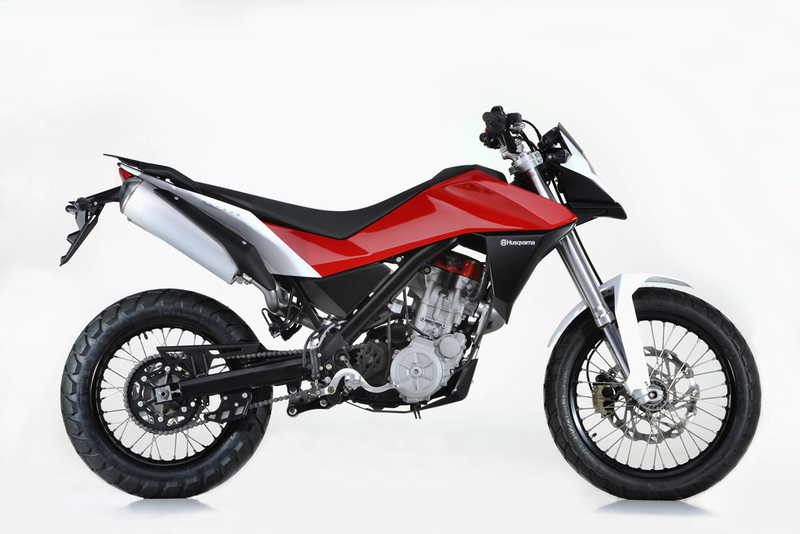 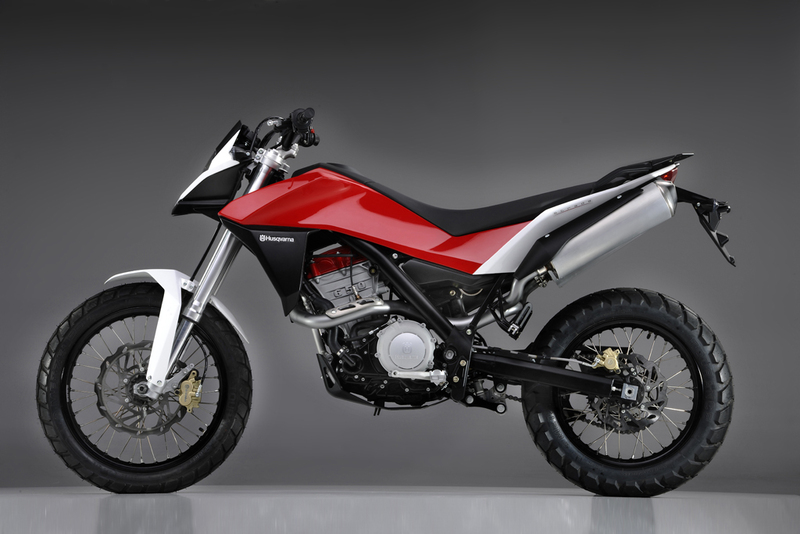 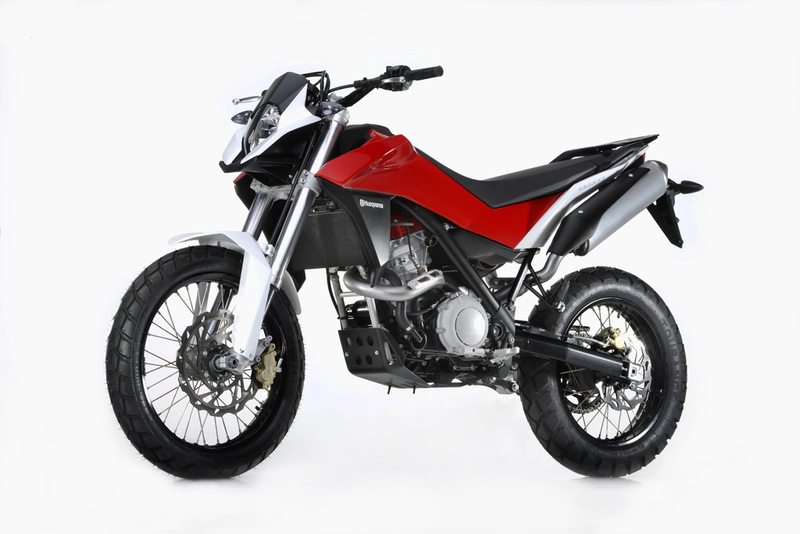 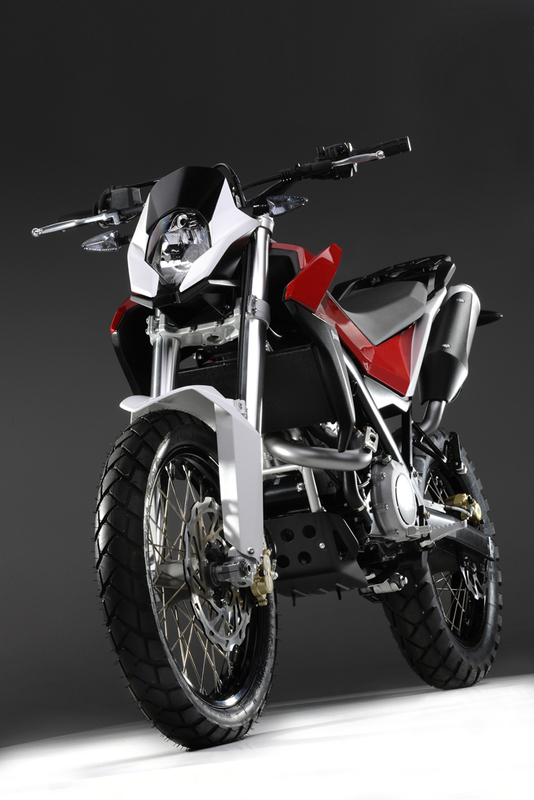 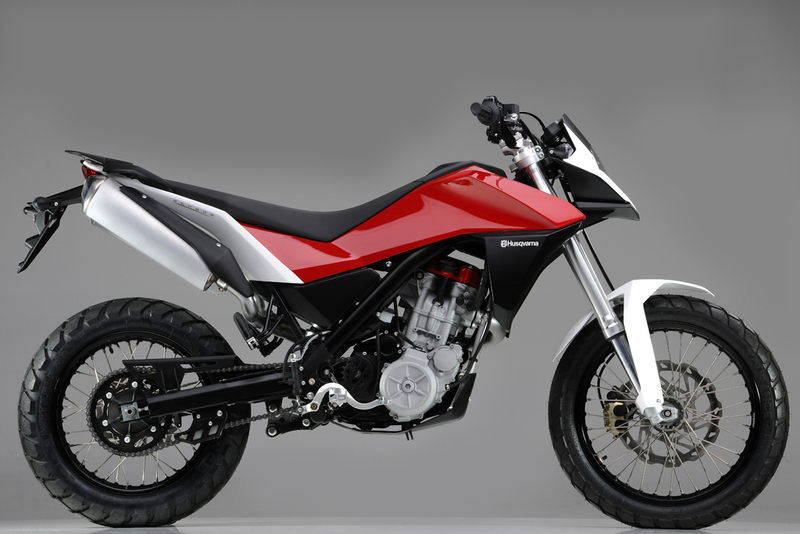 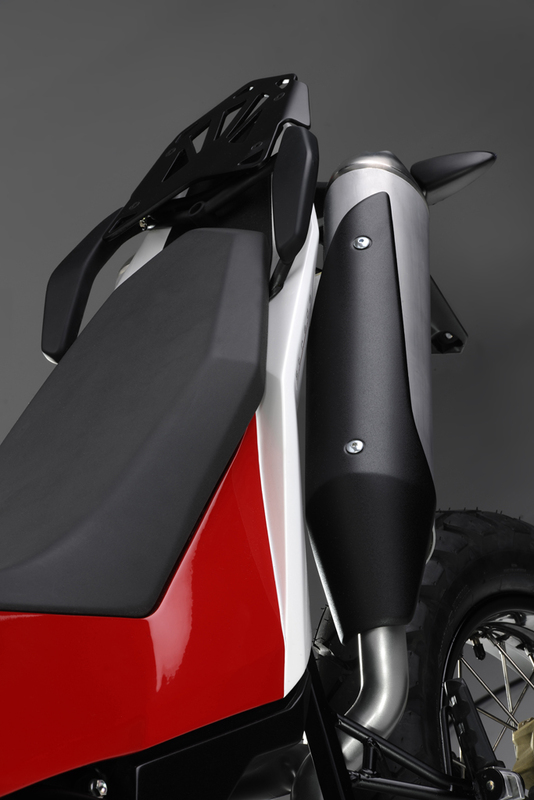 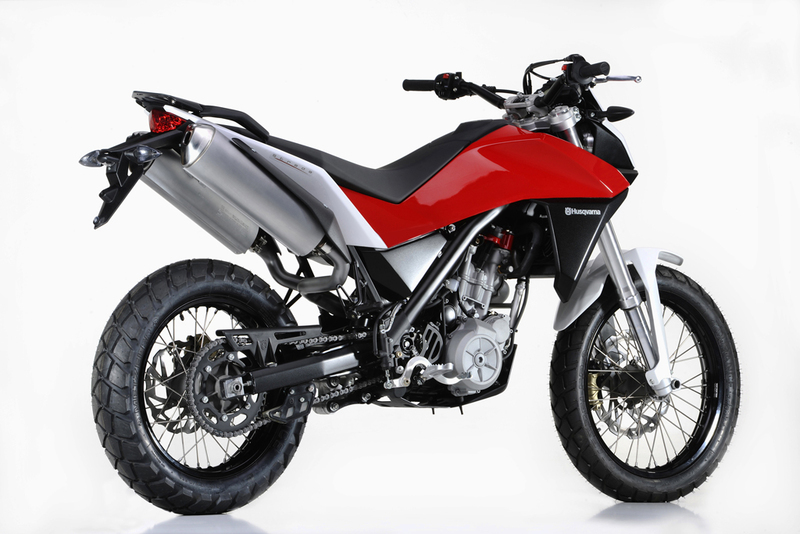 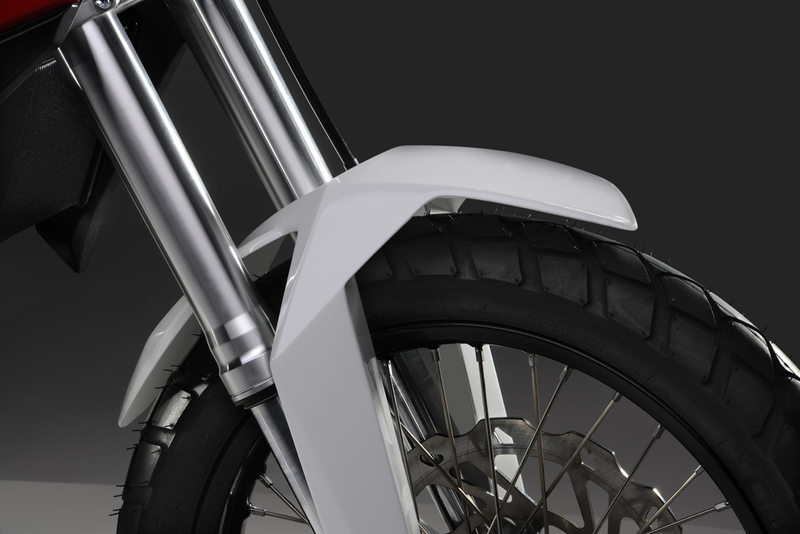 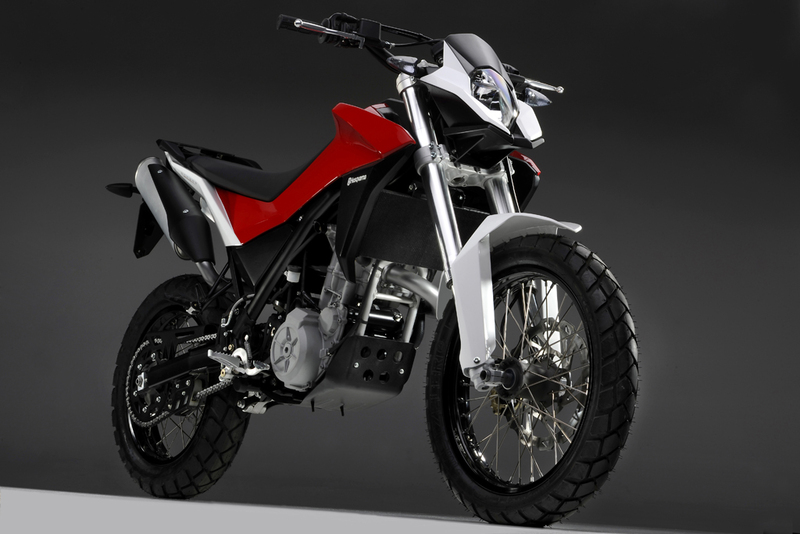 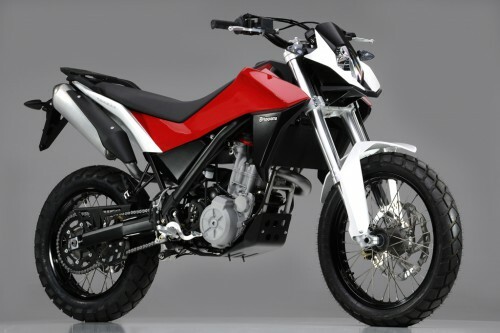 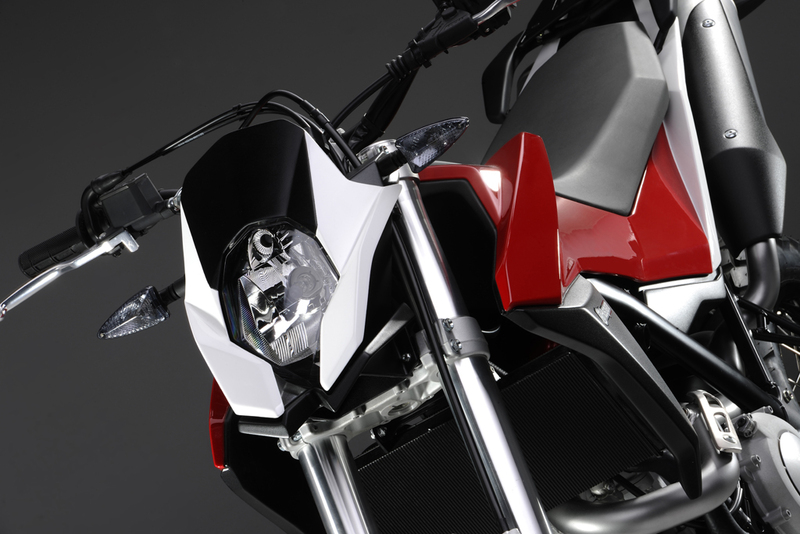 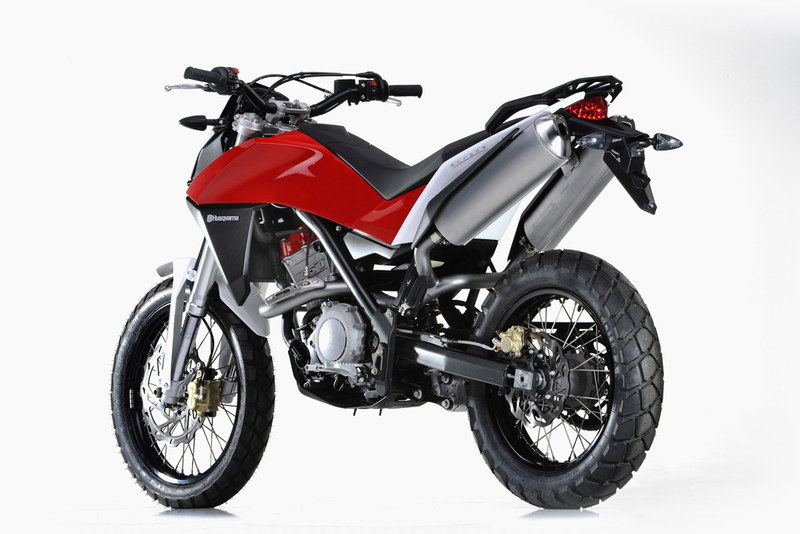 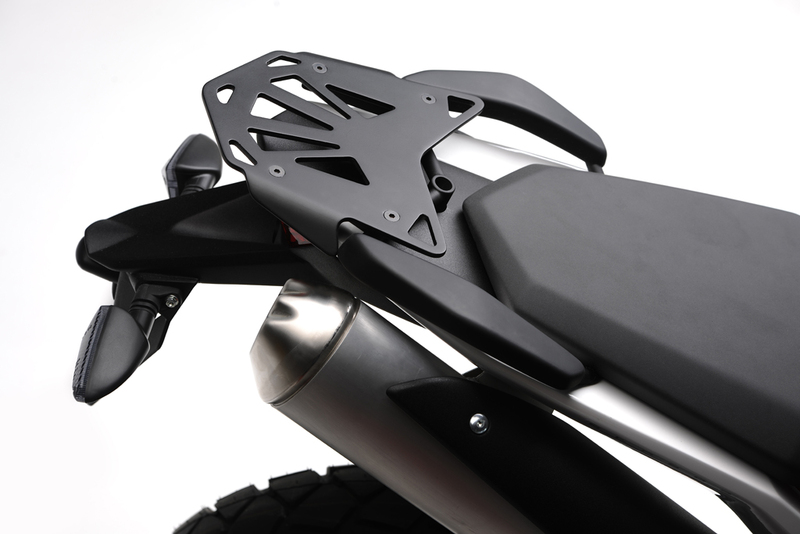 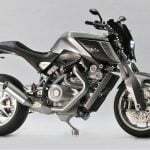 Though Husqvarna is calling the supermoto-styled Strada a concept, but the new model is near production ready, with Husqvarna expecting to begin sales in 2012, possibly as a 2013 model. 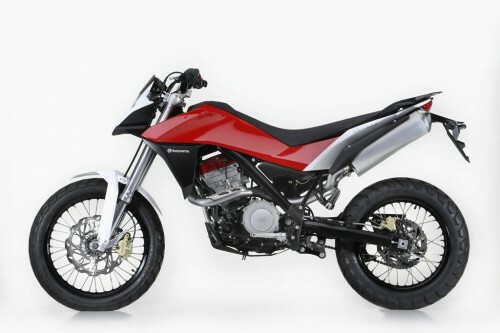 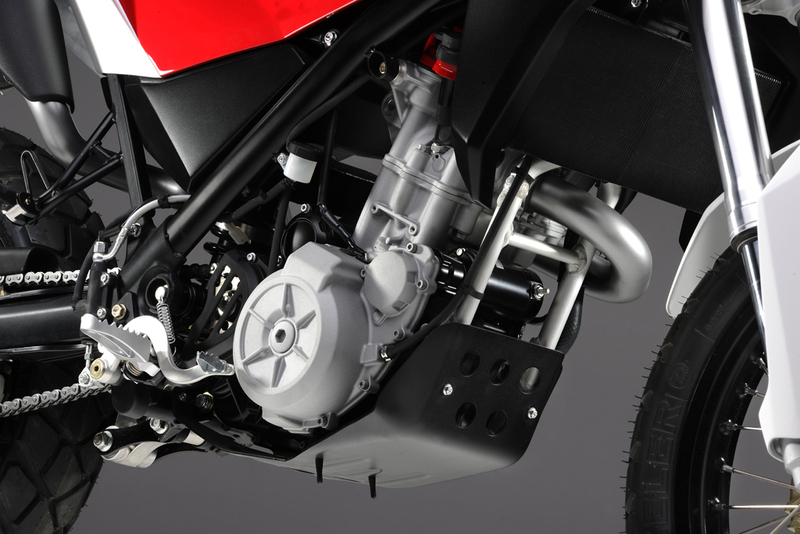 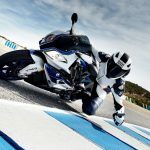 Specifications were not released, though Husqvarna claims the water-cooled Single-cylinder Rotax engine will receive a power upgrade over the BMW G650GS version which measured 44.2 hp on the dyno in our recent review. 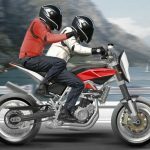 Husqvarna also claims the Strada has a dry weight under 170 kg (374 pounds), much lighter than the G650 GS’ curb weight of 423 pounds. 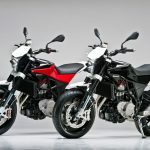 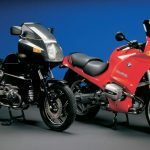 The Husqvarna Concept Strada will join the Nuda 900 and Nuda 900R to form a new three-model lineup of streetbikes for the traditionally off-road focused Husqvarna.